WHAT IS XYPEX CRYSTALLINE TECHNOLOGY? Basic to the development of Xypex Crystalline Technology was a thorough understanding of concrete’s chemical and physical makeup. Concrete is porous. Its tunnel-like capillaries are a natural part of its mass, and permit the passage of water and other liquids. Researchers at Xypex recognized the opportunity for a chemical treatment that would fill these capillaries to prevent the penetration of water and other liquids from any direction. By means of diffusion, the reactive chemicals in Xypex products use water as a migrating medium to enter and travel down the capillaries of the concrete. This process precipitates a chemical reaction between Xypex, moisture and the by-products of cement hydration, forming a new non-soluble crystalline structure. This integral structure fills the capillary tracts rendering the concrete waterproof. 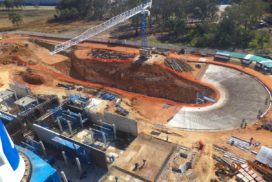 The fact that Xypex Crystalline Technology is now specified and used on thousands of diverse waterproofing projects around the globe is a testament to the original concept. 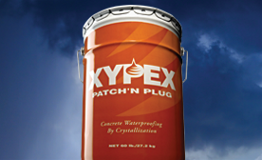 Crystalline waterproofing technology was an idea that grew because Xypex chemists questioned what concrete was all about and found a way to make it better. Today, we continue the tradition. The crystalline nature of the Xypex waterproofing system provides many application advantages over traditional barrier products. It cannot puncture, tear, or come apart at the seams. It does not require protection during backfilling or during placement of steel, wire mesh or other materials. It can be applied on either side of a concrete surface – the negative or the positive (water pressure) side. It is less costly to apply than most other methods. Xypex creates a crystalline structure deep within the pores and capillary tracts of the concrete mass to prevent the penetration of water and aggressive chemicals. In contrast, barrier-type products function only at the surface of the concrete. Because Xypex is not dependent on surface adhesion to achieve its waterproofing effect, it is resistant to extreme hydrostatic pressure. It will seal static hairline cracks up to 0.4 mm. It is not subject to the deterioration problems encountered by membranes. Xypex is permanent and reactivates whenever water is present. 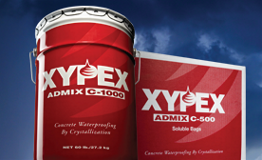 XYPEX products are specifically designed to waterproof and protect concrete structures. 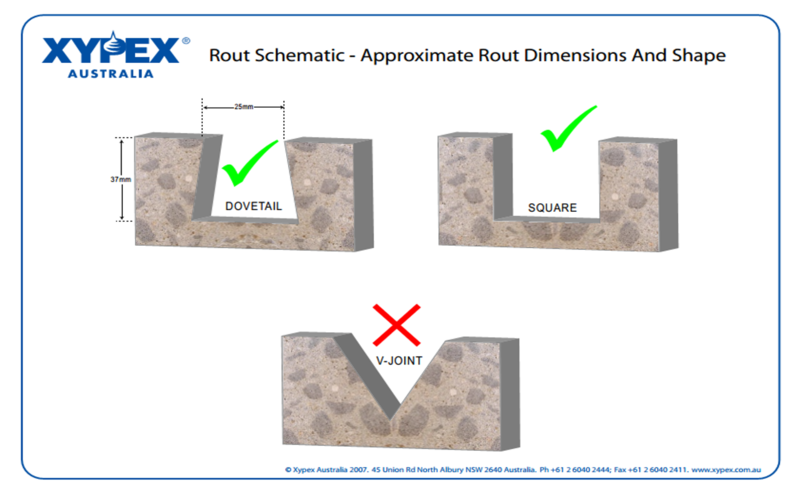 Fundamental to the XYPEX product line is the unique XYPEX Crystalline Technology which generates a distinct crystalline structure within the pores and capillary tracts of the concrete matrix. 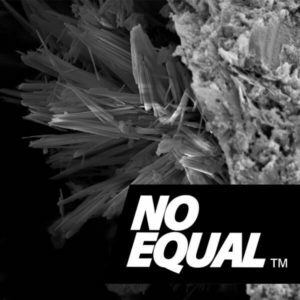 This crystalline formation is non-soluble and permanent, sealing concrete against the penetration of water and other aggressive liquids from any direction, even under extreme hydrostatic pressure. 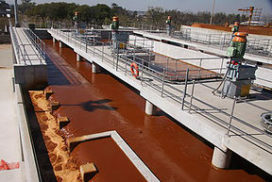 Whether installed as a concrete admixture or post-applied coating, XYPEX’s unique chemical treatment has been proven in over 75 countries around the world, and for over 10 years in South Africa. Customer confidence in XYPEX products is supported through extensive independent testing, approvals and certifications, and a professional technical support network. We are extremely proud of all the projects XYPEX is used in. Most importantly XYPEX products provide the client with an effective waterproofing solution for their concrete structures. This solution is also less expensive than traditional barrier systems, easier to install, permanent, increases the service life of the structure and is environmentally friendly. 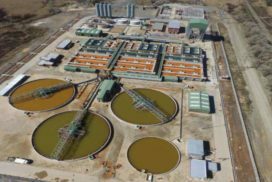 XYPEX has been used in large environmentally sensitive infrastructure projects such as the Acid Mine Drainage project in Gauteng, that make a huge difference to millions of South Africans. 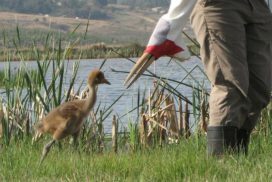 But also, smaller projects that make a positive impact, albeit not as high profile, such as the KwaZulu-Natal Crane Foundation’s (www.kzncrane.co.za) New Chick Hatchery. Cranes are the ambassadors for two of South Africa’s most important ecosystems – the wetlands and grasslands that make up our water catchment areas. 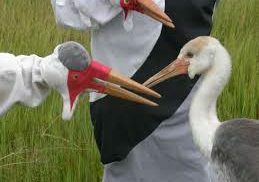 All South African residents are dependent upon the careful management of these biodiversity “hotspots” as are South Africa’s cranes. These ecosystems provide food, clothing, biotic diversity, carbon storage, housing materials, water storage and purification, flood control, recharge of ground water supplies, and recreational and tourism opportunities. 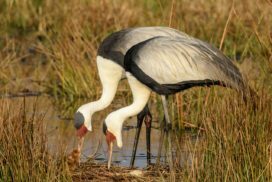 Efforts to protect cranes bring the need to conserve these ecosystems into sharp focus – the cranes reliance on these ecosystems is a reflection of our own survival needs. 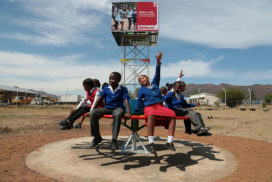 As part of our commitment to provide safe, environmentally sustainable clean drinking water we continue to support Roundabout Water Solutions (www.playpumps.co.za) to help those less fortunate than ourselves. 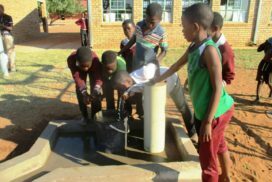 In South Africa hundreds of mainly rural schools do not have reliable access to safe, clean drinking water. 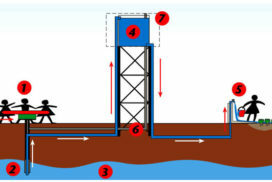 A Playpump ensures that the task of water collection is both efficient and fun. Kids no longer have to spend time fetching water in buckets from generally polluted rivers, meaning more effective attendance at school and less time on chores. Ready access to potable water furthermore decreases exposure to water-borne diseases and safeguards happy healthy days at school.